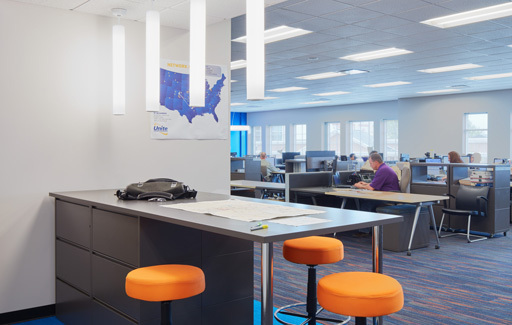 After relocating to the popular Zona Rosa development, Unite Private Networks’ goal for their new corporate headquarters was to create an open office environment that played off the collaborative, tech-focused nature of the company’s business. Working with a long and narrow floor plan, our design solution incorporated a centralized break room to serve as a “hub” and connect the two office wings. Private offices were moved to the center of the space in order to grant all employees access to natural lighting. Low-profile work stations and team areas are spread throughout the work space to allow employees to easily collaborate. 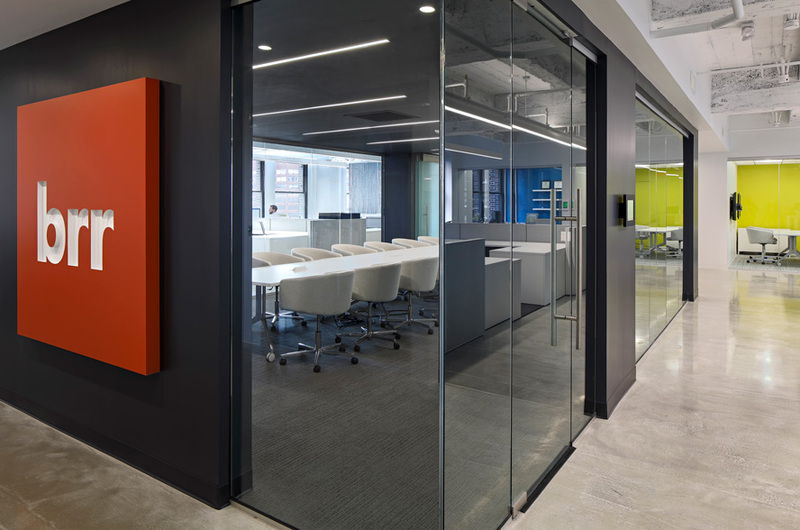 Additionally, bright, clean finishes and fixtures were installed throughout the space to enhance the desired feel, as well as tie in the Unite Private Networks brand.